If you have an Ireland story you would like to share online, please consider posting it on Ireland Blogging. As Ireland’s most flexible and outward-facing community blog, we aim to accommodate the individual requirements of our guest bloggers (contributors). We invite Ireland stories from the following two different types of contributors. Contributors who already have their own blog are very welcome to post stories on Ireland Blogging. Each post needs to function as a self-contained story and can contain a link to one “related” story on the contributor’s own blog. As Ireland’s outward-facing community blog, we are more than happy to direct our visitors to contributors’ own blogs. WordPress profile. Storytellers who have not set up a blog of their own are invited to join Ireland Blogging as a contributor. This will set up a dedicated blog “homepage” for the contributor on Ireland Blogging. Our community platform offers a particularly neat and simple solution for social media users who want to get into blogging. Everyone who posts stories on Ireland Blogging must first set up their own WordPress profile and username. Contributors who have their own blog on WordPress will already have a profile and username. Each contributor who publishes at least one story on Ireland Blogging will automatically create a personal “home page”, the URL of which will be in the following format (excluding quotation marks). To find your Ireland Blogging contributor home page, simply replace the “username” portion in the above sample URL with your own WordPress username. Individuals and organisations are very welcome to join our network of bloggers. With your help, we aim to deliver a rich variety of Ireland-wide news articles to inform, entertain and inspire our readers. Representatives (e.g. guide services, clubs, event organisers, charities, local businesses, etc). Bloggers / journalists (outdoors, sports, adventure, lifestyle, environment, tourism, reviews, etc). Photographers and film-makers. Please note that we do not promote the use of drones / UAVs in scenic areas. Authors / publishers (books and maps). To become a contributor, please complete and submit a Contributor Joining Form. gain recognition as a source of local knowledge within the Ireland Blogging community. create your own “home page” within the Ireland Blogging platform. be permitted to include clickable outgoing links from your blog articles to your own website, social media profiles, or even your own blog. We are more than happy to provide outgoing links to relevant websites and blogs. We do not publish negative reviews on Ireland Blogging. However, some improvement suggestions may be permitted in “Recommendation” articles. All submissions (including any external content linked to from it) will be reviewed by Ireland Blogging prior to it being either published or rejected. Before you can post articles to Ireland Blogging, you must first become a contributor. You can apply to do this by completing and submitting a Contributor Joining Form. When we receive this, we will send you an invitation. You must then accept the invitation and create a profile on WordPress (if you haven’t already done so). Once set up as a contributor, you will see Ireland Blogging in your websites list when you sign into WordPress. When you select Ireland Blogging from the list while signed in, you will be able to create new blog posts. Give your post a title which is applicable to the story. Please bear in mind that this title will appear as the text element of the post’s announcement tweet on Twitter. Please start your post with a 100-character (approximate) introduction written in third person and in bold text. Follow this with a “read more” line, then a horizontal line. After this, start the main blog post. If you want to include images, please refer to the “Attaching your images” instructions below. Copy and paste the 100-character introduction into the excerpt box under the post’s settings. Please bear in mind that this excerpt will appear as the text element of the post’s announcement message on Facebook. Write the main blog post in your own style, but please use plain English. We do not want to see words which require readers to have a dictionary at hand. As a general rule, if our editors need to look words up in a dictionary, they will replace those words with simpler ones if possible. Please avoid using riddles, in-jokes and any other writing styles which could mistakenly portray Ireland Blogging as an inward-facing cliquey community platform. Quotes from relevant poetry and song lyrics are permitted in Ireland Blogging articles, but should only be used where absolutely necessary, credit the original artist, and be limited to about 100 words per article. If you are linking to an article on your own blog, please make sure that it is related to the one you are posting on Ireland Blogging. We have a pre-loaded selection of themed “feature images”. Please select the one which is most applicable to your post. This image will appear as the post’s header and in related announcements on Twitter and Facebook. As a contributor, you do not have permission to upload new images or videos to Ireland Blogging. However, you can embed images and videos from social media platforms into a new blog post. All you need to do is copy the URL of the original social media post, then paste it into your new blog post as a separate paragraph. This will automatically generate the relevant image or video when we publish the blog post. As the post’s contributor, you will be able to see how it will look in preview. This method allows you to embed tweets from Twitter, posts from Facebook and Instagram, photos from Flickr, and videos from YouTube (as long as they are public). 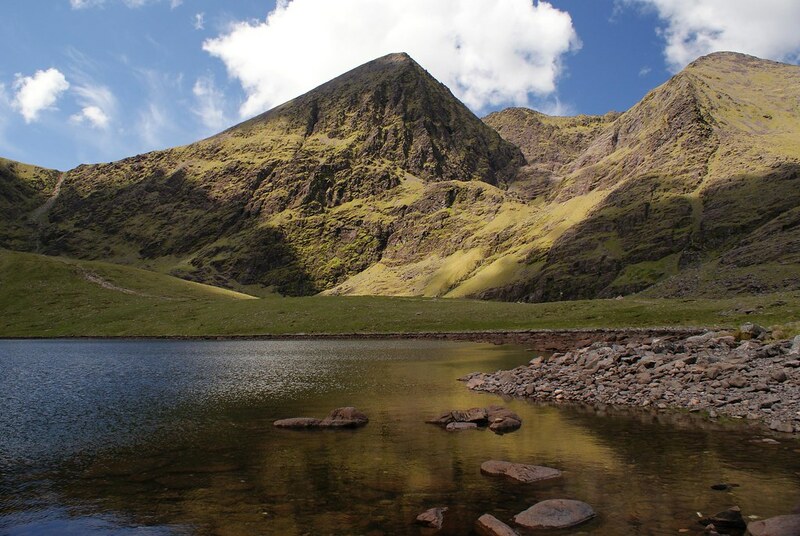 For example, a paragraph containing only the following URL as text (excluding quotation marks) will appear in a published article as the subsequent Flickr image of Carrauntoohil (the highest mountain in Ireland). Alternatively, you can paste in the URL of an image which appears on your own website or blog. This should display as the respective image in your Ireland Blogging article. Before you submit your finished story to us, please read over it a few times from start to finish to make sure it flows smoothly and contains no spelling mistakes or grammatical errors. Keep an eye out for missing words (these are surprisingly easy to go unnoticed). We are unable to edit incoming blog posts or offer any editorial suggestions to contributors. Stories will largely be published as we receive them (subject to our approval), therefore we rely on each contributor’s ability to carefully check and edit their own work prior to submission. If we receive a post which requires extensive improvements, we will contact its contributor asking them to revise and resubmit. This approach will give each contributor their own unique voice in our community blog.